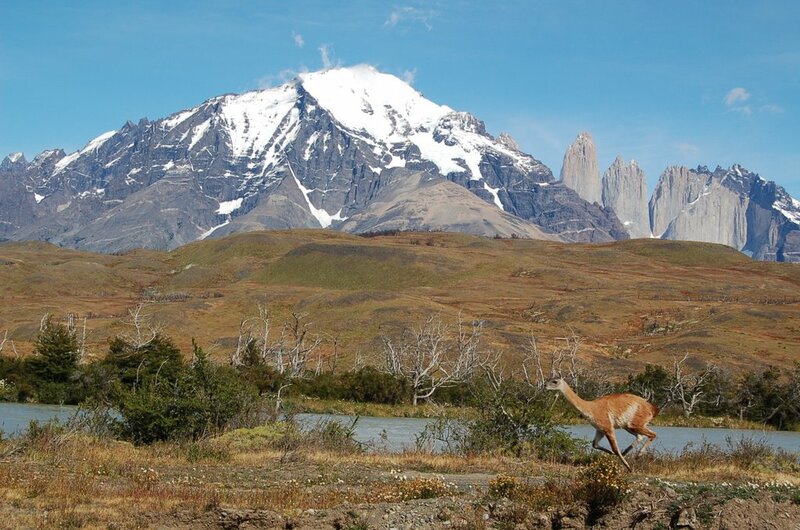 The Torres del Paine circuit is seen as one of the classic treks of the world. If you were a trek spotter, this would be high on your hit list. If you are Albane, the prospect of 6 days in the wilderness, carrying all your gear on your back and being subject to the mercy of the weather is not so appealing. 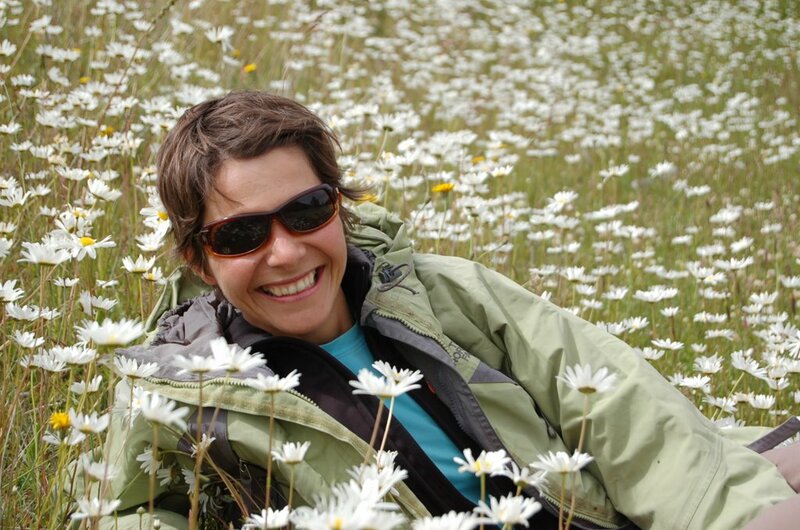 But after some subtle persuasion from me, she finally caved in and, with rucksacks laden with tent, sleeping bags and mats, stove, clothes and food for 8 ays (including 2 kg of porridge - enough, it turns out, to feed a small army for a month), we arrived at the Park entrance. While most people took the minibus that covered the 7 km of dirt road to the start of the trek, we opted for the purist approach and walked. On the first day, the trail took us east through a woodland of Southern Beech before dropping down onto a river meadow thick with daisies. Bright white and swaying in the wind, they looked like a light dusting of snow on the ground. In the open, we walked, bent double, into a headwind so strong that, at times, Albane had to grab my arm to prevent herself from being blown to a standstill. In the late afternoon, we reached our campsite at Puesto Seron and cooked soup and dehydrated potato with a cheese sauce for dinner. Haute mountain cuisine. The next day, we followed the flooded river upstream, climbing steep bluffs where the route was underwater or cliffs blocked our way. The clouds, which had threatened throughout the morning, started to lift and a light breeze made for pleasant walking conditions. The landcape, shaped by huge glaciers in the past, was a wide U-shaped valley with the opaque, opal-coloured river meandering in the bottom. Dead tree trunks stood in the shallows and, in the distant, we could see a ridge behind which, several hours later, we found Refuge Dickson and a grassy site for the tent. 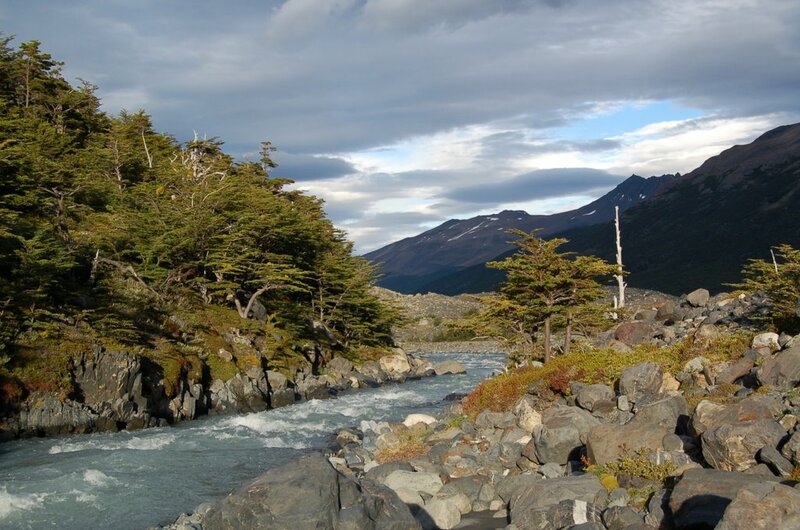 It had been 6 hours of walking and the final hour, made worse for Albane because she had slipped on a river crossing and soaked both feet, seemed interminable. We took it easy the next morning as we only had 4 hours to walk. A steep climb through rooty woodland brought us to a look out from where we could see rugged mountains, glaciers and the brightness of Lake Dickson. We ate a lunch of crackers and peanuts washed down with glacial lake water before contouring up a hidden valley, a noisy but invisible river somewhere down to our right. 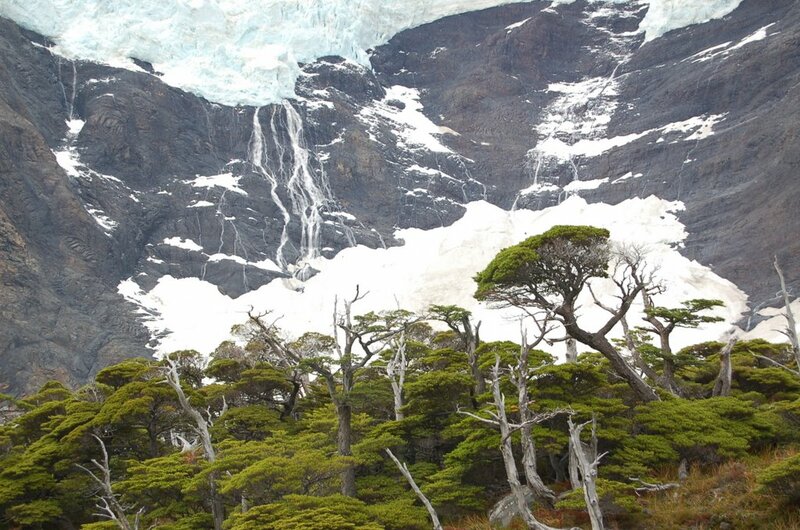 Los Perros campsite, sheltered in a muddy wood, lay within a few minutes of a lake at the bottom of a huge hanging glacier, its blue and white chaotic mass looking like shaving foam sprayed on the cliff. I threw stones at icebergs while Albane called me childish. The mosquitos descended in squadrons in the evening. The repellent kept them at bay, although a couple dropped in the pasta. The fourth day was the big one. We left early and laboured our way through a maze of tree roots, mud, streams and deep bog. It took time to work out a dry route through the wet transitional vegetation and we reached loose scree at about eight. From the end of the treeline, we climbed on rock for another hour and half to the Gardner Pass where we were treated to the huge vista of Glacier Grey below us. 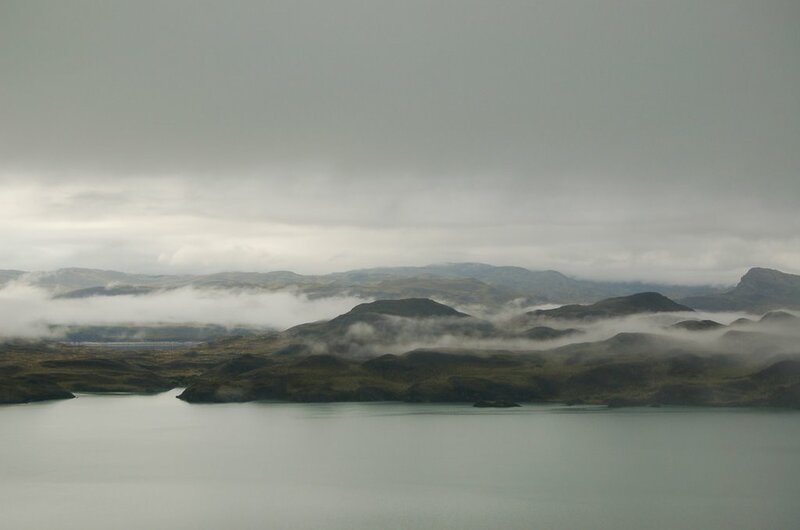 Its snout, several kilometres to our left, poked into the lake where we would camp that night; its beginnings somewhere in the cloud high on the Southern Patagonian Ice Field to our right. It was a stupendous view and one worth walking three and a half days to see. The descent from the Pass was steep and painful on the knees, but it was dry and we made good progress. 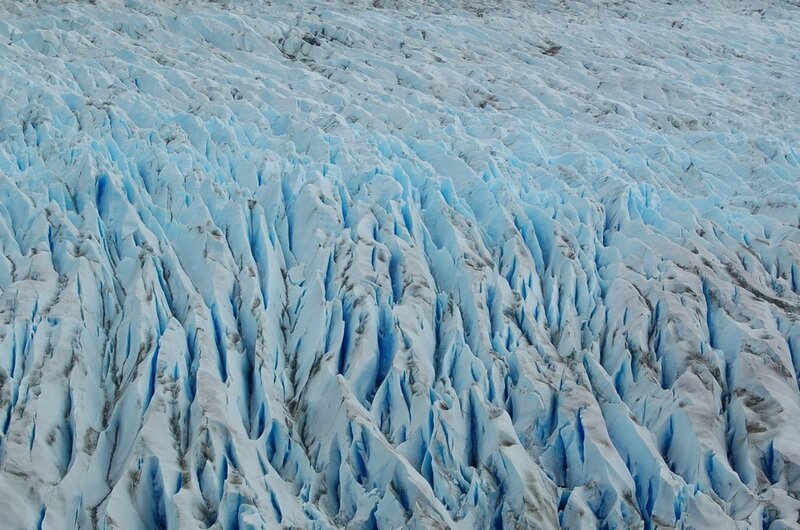 Over the next few hours, we dropped through woodland with the white of the glacier shining through the gnarled, wind-shaped trunks. We reached Lake Grey ahead of the crowds and bagged ourselves a prime spot right on the shore - we could see floating icebergs from the door. A long and utterly rewarding day was made complete by a scaldingly hot shower. 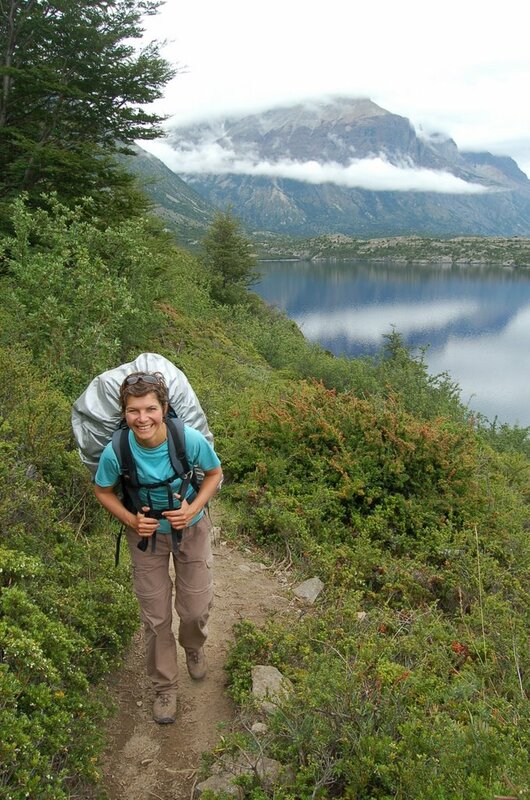 Day five and, under cloudy skies with a very light drizzle, we headed south, undulating high above the lake, to a refuge on Lake Pehue. 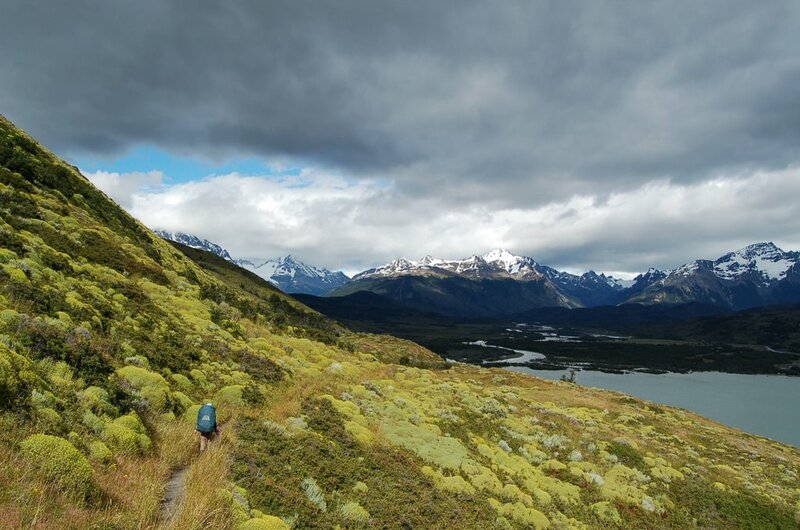 Faced with the option of catching a boat from the refuge to connect with a bus back to Puerto Natales that night for proper food, a bed and a shower, we slung the rucksacks on our backs and headed east for another two days of walking. The sun had stopped the rain, though the high peaks were largely covered by cloud and it was a long few hours to reach our campsite in a damp wood crammed with tents. With the forecast predicting rain, we took advantage of dry weather and, in the evening, walked up the aptly named French valley to watch huge chunks of ice thunder down from hanging glaciers. A glorious good bye to the hills. We left at 6am the next morning in rain and walked pretty solidly for 6 hours to reach the trail head and a bus back to town. 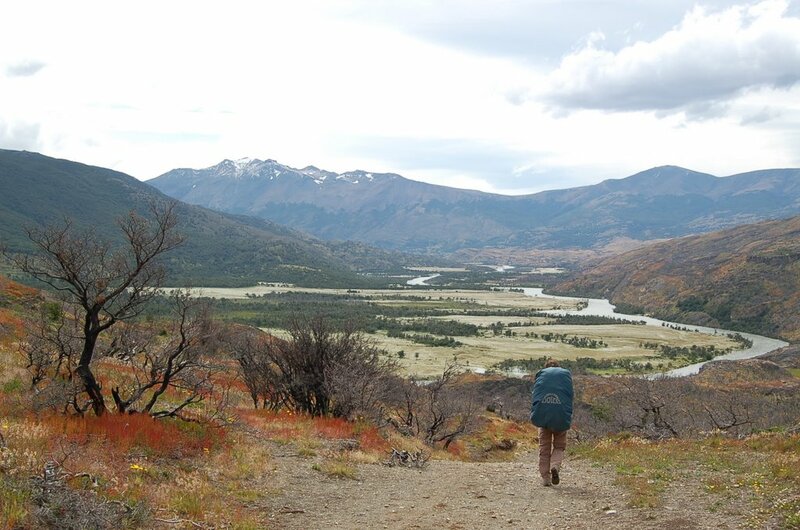 It had been a great trek through an everchanging landscape and it was a fitting farewell to Patagonia. In a few days, we will be in Brazil. Now that is going to be different!